SK Thomas is that unique, one of a kind person who takes life experiences to a new level, resides down the street in any town or neighborhood. She spent many years of her life traveling while in discovery of all life had to offer. These days, she can be found writing, editing and marketing while exploring other business ventures. She has published two books in her Pawned Queen Thriller Series while residing in California. Both novellas were finalists in the 2015 Bookbzz Prize Writing Competition. Currently, the author is working on the third novella for the series. This novella is fast paced thriller that will keep you on your toes and wanting more. Jack and Melissa find themselves in another challenging investigation of broken promises and lives manipulated by someone people should have been able to trust. They are hired to find the truth about Father Clayton and the communities' beloved church. He welcomes them under the assumption Melissa needs help after losing her husband, John. Problems arise when she falls for the priest in question while she genuinely desires a normal life. She tries to push through her emotional problems as her whole world seems to come crashing down around her. The more she struggles to do the right thing, the deeper she digs her own grave as her past haunts and the future is unknown. There comes a time when she has to face facts and try to rise above it all. "They just want the truth," Jack demanded. "The truth is never what is seems," Melissa cried out. 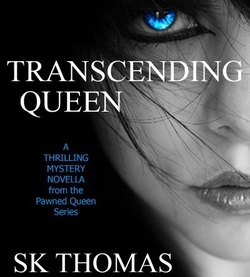 SK Thomas of "Pawned Queen" welcomes you to another novella in this thriller series forcing you to question belief and faith in humanity.